This June, we’ll release the 3dRudder. 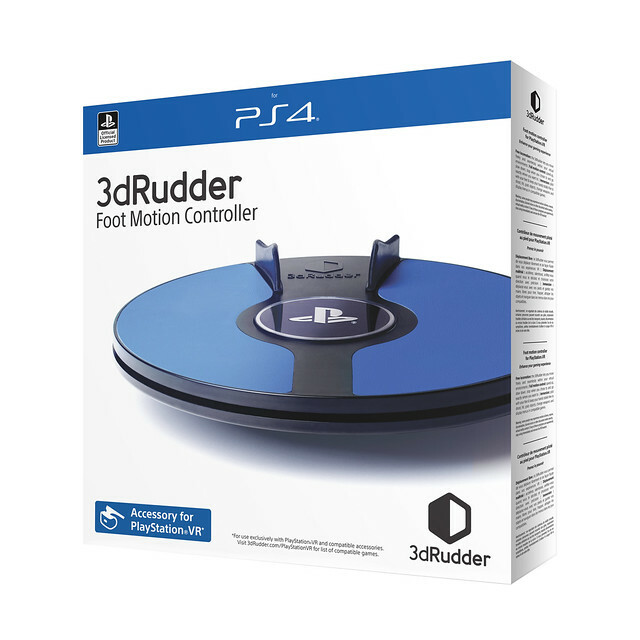 This officially-licensed foot-powered motion controller for PlayStation VR will kick your experience up a notch across more than 30 compatible PS VR games. Here’s everything you need to know. “I’m an architect,” explains company co-founder Valerio Bonora of the peripheral’s origins. “10 years ago I was in charge of redesigning all the metal work of one of Paris’s historical monument – not the Eiffel tower, for those wondering! Fast forward ten years and here we are with the 3dRudder, which is coming to PS4 in a few weeks. The device is topped with a slim circular platform onto which you rest your feet. This platform rests on a rounded bottom half. The combination makes for incredibly intuitive movement: you simply tilt your feet in the direction you want to move. The more angled the tilt, the faster you’ll move. It allows for life-like motion. You can walk straight, sprint while taking a corner or stop exactly where you want to, in a smooth, seamless way. No sticks, no buttons. Inside the device are IMU (Inertial Measurement Unit) and pressure sensors which track your movements and translate them to in-game motion. We’ve demoed the 3dRudder at numerous shows and events, and everyone who has tried it has commended the seamlessness of the experience. 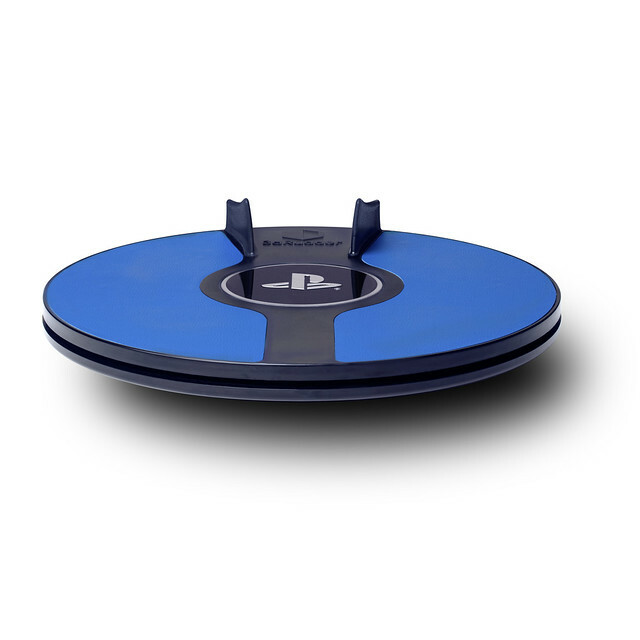 To use the 3dRudder, you just need to plug it in to your PS4 console via USB. No additional setup is necessary and the device is compatible (and combinable) with PlayStation Move motion controllers, the PS VR Aim controller, and Dualshock 4. Shifting motion controls to your feet frees up both your hands for action, giving you the possibility to move and act simultaneously. 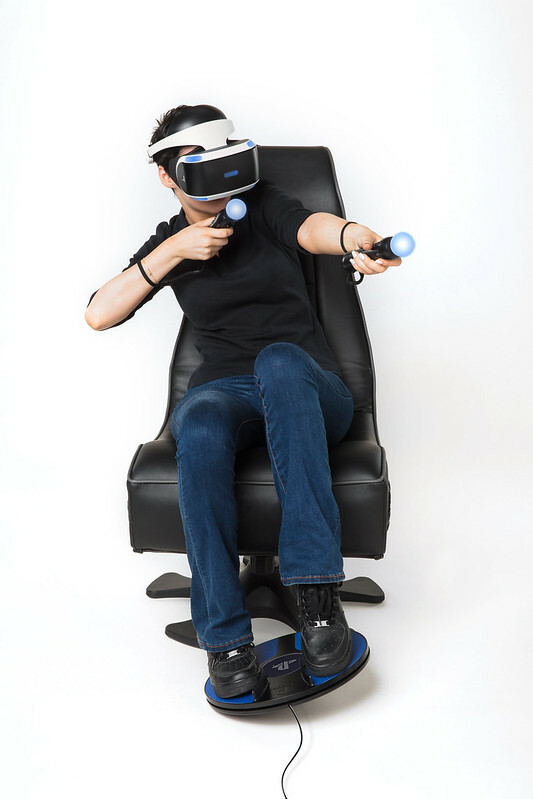 Imagine yourself playing a first-person shooter with a PS Move motion controller in each hand. You come under fire. Thanks to the 3dRudder you can use your feet to dodge incoming attacks and leave your hands to concentrate on firing back, while glancing round for additional enemies. It’s simply a more immersive experience. 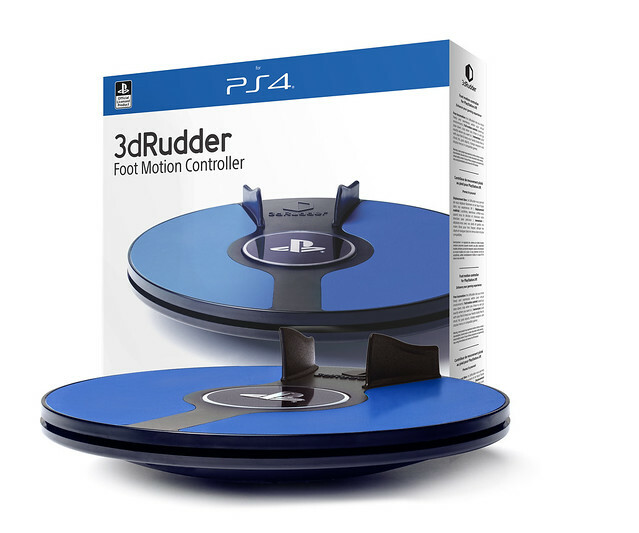 And this is only the beginning: more PS VR games will be getting 3dRudder support in the future. 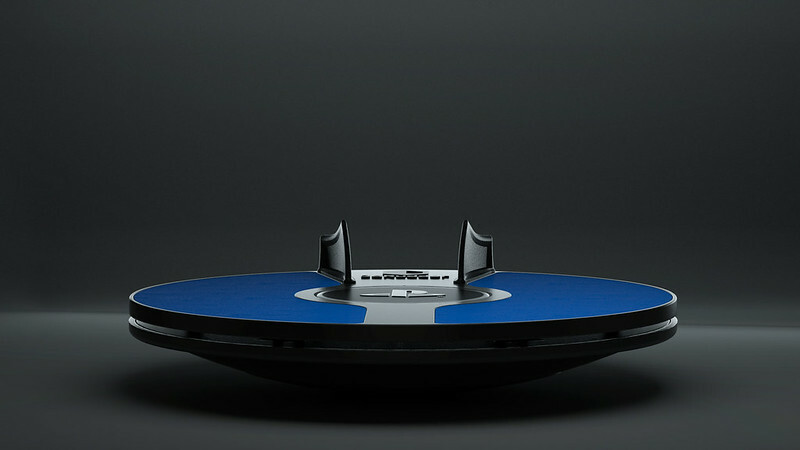 The 3dRudder will launch on 17th June, with a RRP of £119/€119. Global pre-orders are now open on our website.